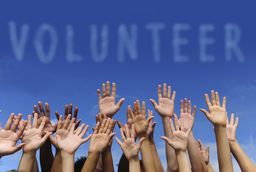 To identify a volunteer-centred quality criteria for valuing the competences obtained through an EVS project completed and to test the identified criteria in order to promote the relevance of the volunteering experience abroad and the benefits related to it. To promote at large scale the need for standardized procedure to value better the EVS as a significant international learning experience. The project involves NGO staff dealing with EVS volunteers on a daily basis, as well as currently tries to establish a network of other stakeholders. So far the project activities include transnational meetings, research phase, as well as field work by the involved organizations. By the end of the project public events on a local/national level to be held in each country. The final outcome of this strategic cooperation consists in the creation of this on-line platform aimed at the better recognition of the learning outcomes gained through EVS and NFE experiences containing quality criteria for valuing and better assessing the competences gained. It is developed by all members of the current partner consortium. The project expects to achieve positive impact in terms of valorisation of the EVS experience, certifying the real involvement of the volunteers and in this way help the optimization of the process of valuing the gained competences and stimulate the involvement in EVS as proof for real benefits and tangible outcomes are about to be created. The project creates also a better involvement of the NGO staff in providing mentoring and support to their volunteers, fostering the involvement in EVS for people with fewer opportunities, stimulating the interest of various stakeholders in recruiting former volunteers according to the experience and competences they have gained through investing time in EVS. The creation of network of stakeholders interested to work further on for the process of recognition of competences acquired through NFE represents also a positive outcome which the project expects to achieve by its end, as well as the better significance of the EVS experience as learning experience within the society at large. The long term benefits of the project are expressed through the fostered opportunities for the young people in terms of employability and better competitiveness on the labour market thanks to the platform development. This is due to the quality criteria that are supposed to stimulate the future involvement in EVS since they represent tangible assessment of learning outcomes and in combination with the reference letter could be directly applied in any situation requiring better applicability of the acquired competences. The cross-sectoral cooperation initiated by this project has already established fruitful spaces of exchange of best practices and expertise. The project is a step towards a cooperation which on a long term basis would impact the EU society on a larger scale and would be a way to deal efficiently with the economic crisis, the educational difficulties, as well as with problems of social exclusion or school dropout.